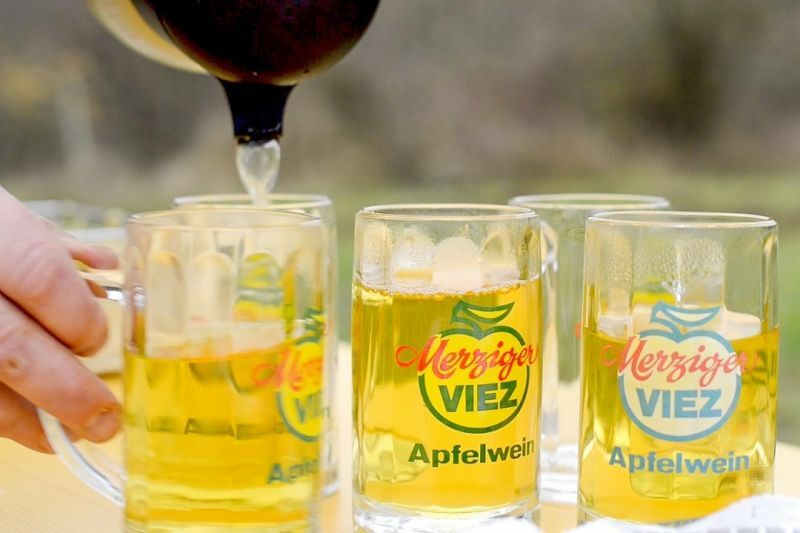 German cider, called apfelwein or viez, is mainly produced and consumed in Hessen, particularly in the Frankfurt, Wetterau, and Odenwald areas, in Moselfranken and Merzig (Saarland) and the Trier area, as well as the lower Saar area and the region bordering on Luxembourg. 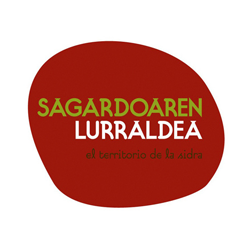 In these regions, several large producers, as well as numerous small private producers, often use traditional recipes. Apfelwein is served in a “geripptes”, a glass with a lozenge cut that refracts light and improves grip—a holdover from the past, when some meals were traditionally eaten without cutlery. Traditional apfelwein restaurants serve a “proper” 0.30-litre (10-oz) serving, although some establishments may also have a 0.25-l or 0.50-l version of the glass. A Geripptes filled with Apfelwein is also called a Schoppen. Most establishments also serve Apfelwein by the “bembel” (a specific apfelwein jug), much like how beer can be purchased by the pitcher in many countries. The paunchy “bembel” (made from salt-glazed stoneware) usually has a basic grey color with blue-painted detailing. 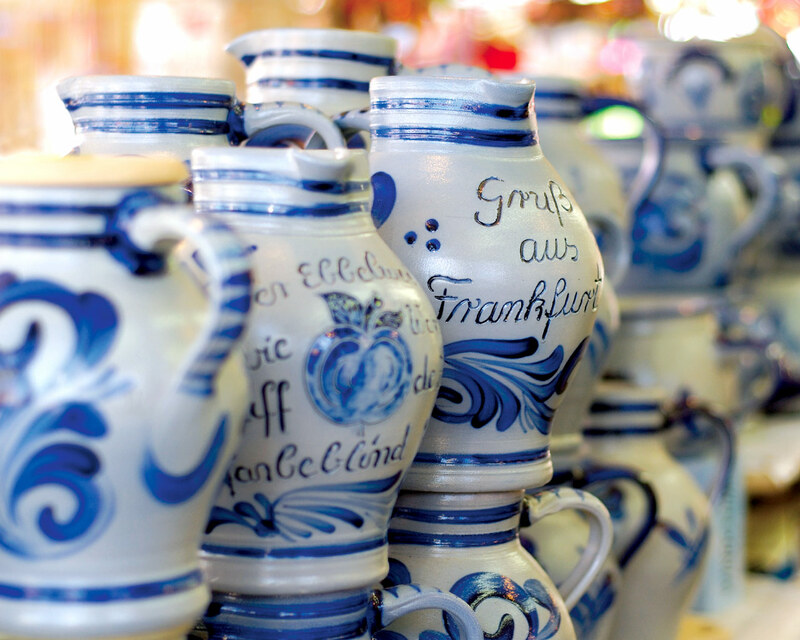 In the Eifel region, near Hunsrück, around Moseltal, along the lower Saar and in Trier, the drinking container is called “viezporz” and consists of white porcelain or stoneware. Cider mills are called Kelterei. 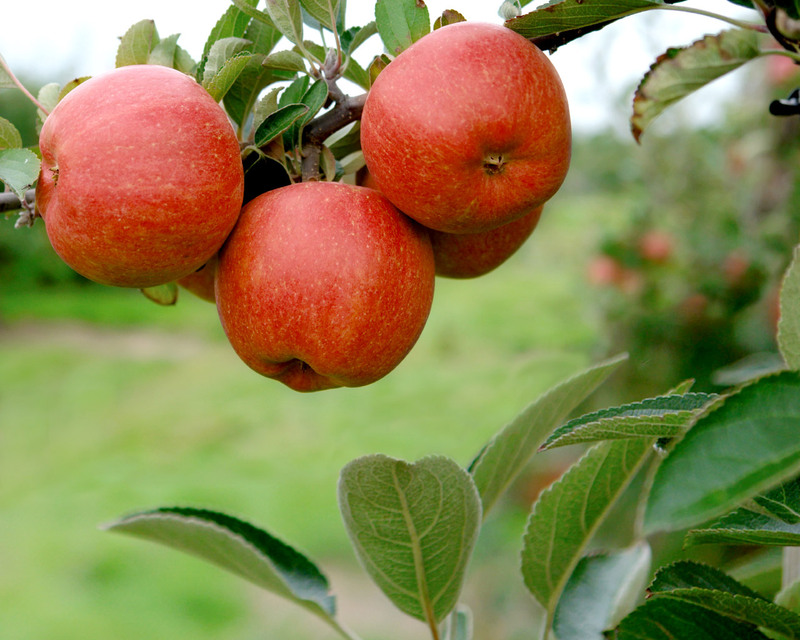 Apfelwein didn’t gain in popularity in Hessen until the 16th century. The area around Hessen, at this time, experienced an extremely cold winter, damaging its grape vineyards so drastically that wine makers were forced to find other alternatives. Wine makers found that apple trees flourished from cold winters, so they abandoned their grape vineyards for apple fields. 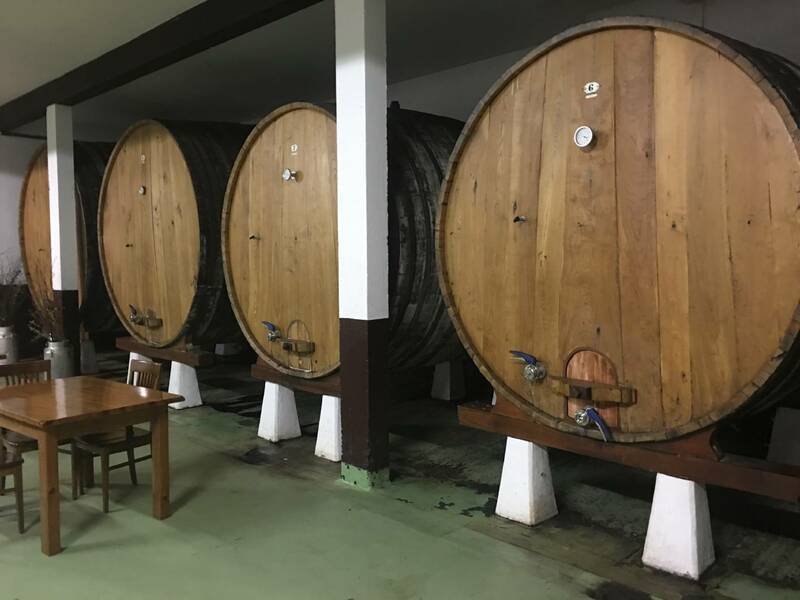 The apple wine industry grew quickly and soon was offered in bars and pubs. Those businesses that had permission to sell apple wine were required to hang a pine wrealth outside the door to their establishment. 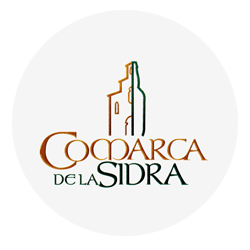 This became the emblem of the apple wine industry. 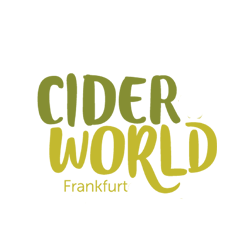 By the mid-19th century, 12 large commercial apple-wineries existing in Frankfurt, along with hundreds of small or private apple-wineries. Apfelwein was named the national drink for Hessen. Today, over 60 large and small commerical apple-wineries exist in Hessen, producing 1,040 million gallons (40 million liters) annually. 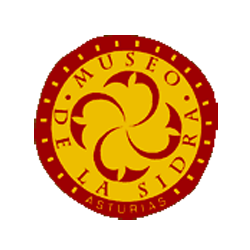 There are two initiatives trying to promote the setting up of a museum about apfelwein in Germany. The first one is Apfelwein-Centrum Hessen, which aims to establish a center in the city of Hanau. For its part, an association has been trying for several years to establish a center in Frankfurt under the name “Deutsche Apfelweinmuseum – Haus der Apfelweinkultur in Frankfurt am Main”. 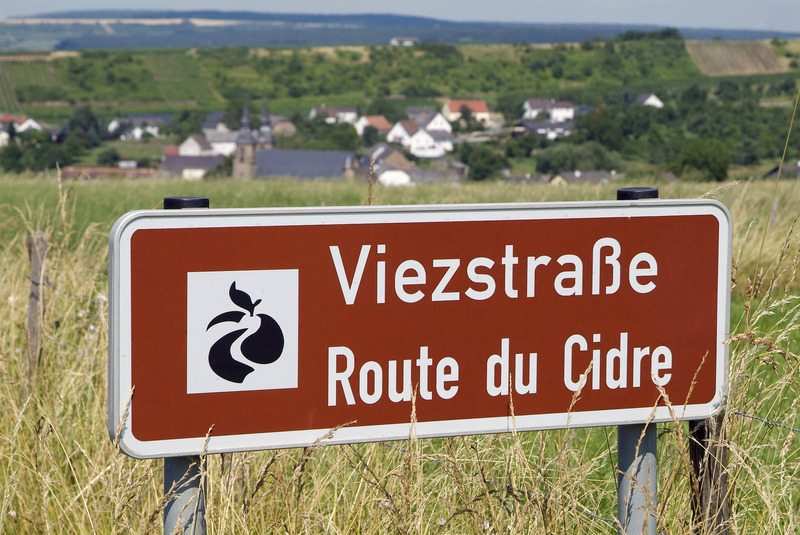 There are 3 cider routes promoting tourist experiences in Germany. 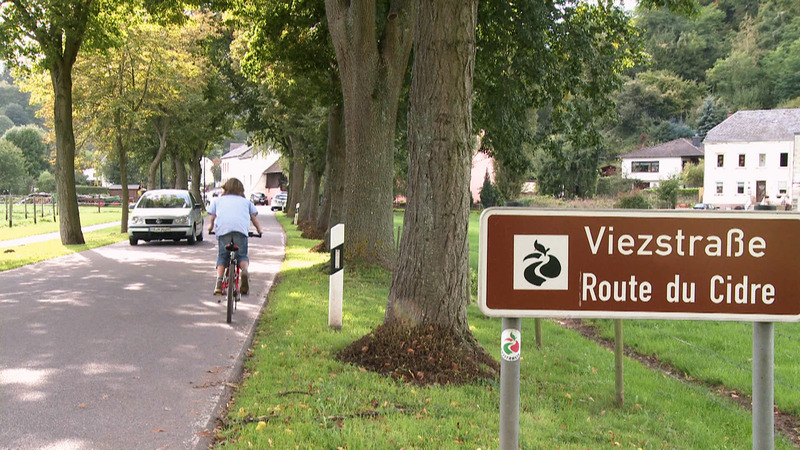 An official Viezstrasse (viez road or cider route) connects Saarburg with the border to Luxembourg,. 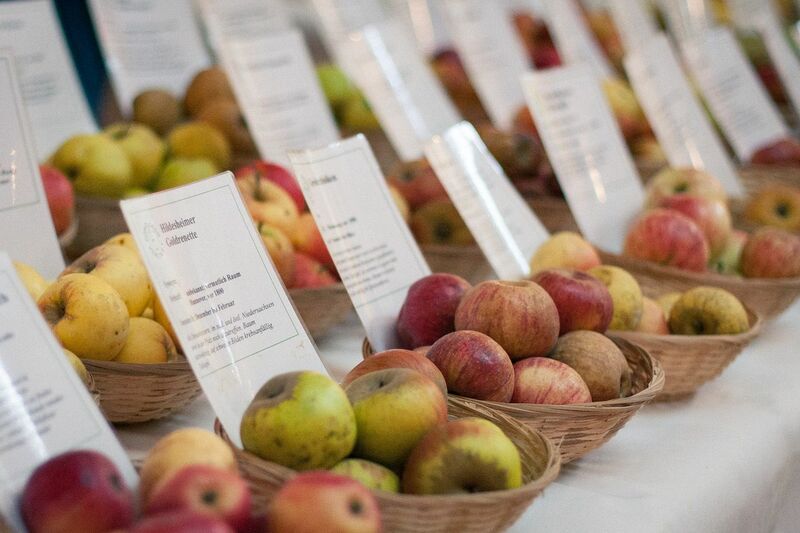 There is another Apfelwein- und Obstwiesenroute (Apfelwein and Orchard Route) in Hesse, as well as the Hessische Apfelweinstraße, the Hesse Apple Street. The Viezstrasse is a route that promotes tourism and culture around viez, and is characterized by an official signage. It runs from Konz over the Saargau to Saarlouis-Wallerfangen. 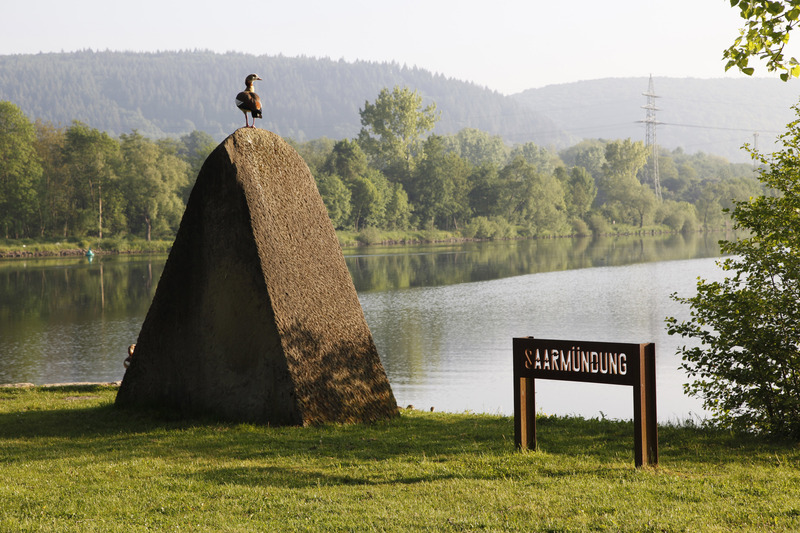 It is managed by the Verbandsgemeinde Saarburg, the Tourismusverband Merzig-Wadern and the district of Saarlouis and it’s a good example of integrated regional development through tourist use of the agricultural landscape. 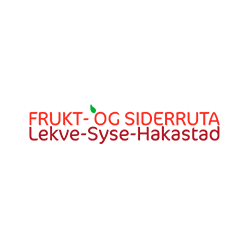 The project involves fruit growers, edelobstbrennern, farmers, hoteliers, restaurateurs and other actors. 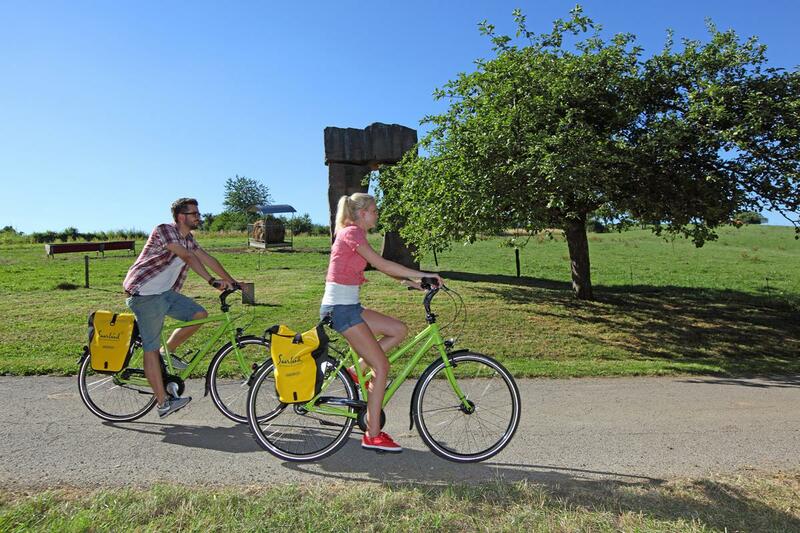 The Hessische Apfelwein- und Obstwiesenroute is a cycling and hiking trail in Hesse. 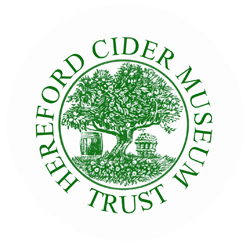 The route is divided into six regional loops and leads the hiker through orchards, cider houses and cider taverns. 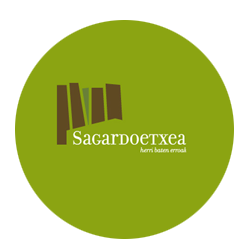 The paths are marked with the official logo, the red apple in the green arrow. 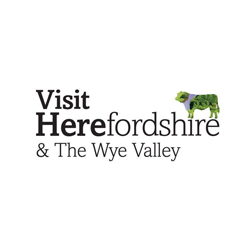 The restaurants belonging to the cider route along the way are also marked. Hiking maps are available through the municipalities or through participating partner companies. As a common information brochure the “Apfelbot” is published regularly. 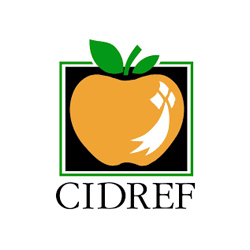 In the participant regions, events, excursions and tours on cider topics are offered. 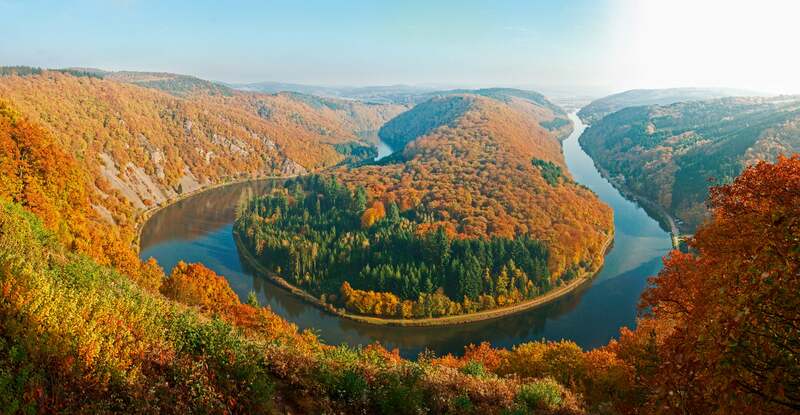 The Hessische Apfelweinstrasse is a 40 km long hiking route in Hesse. It runs from Steinheim near Hanau via Wilhelmsbad, Maintal, Hochstadt, Bergen-Enkheim and Seckbach to Frankfurt’s Sachsenhausen district. 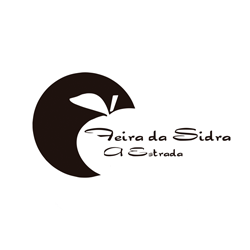 The goal of this road is to promote the tradition and culture around the cider. The hallmark of the route is a stylized “bembel”, the traditional apfelwein jug. Along the road, there are many taverns where the cider is still traditionally served from this jug. 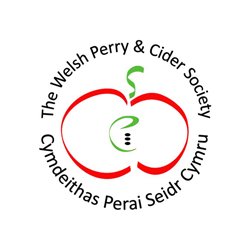 Since 1983, an annual cider festival is held. 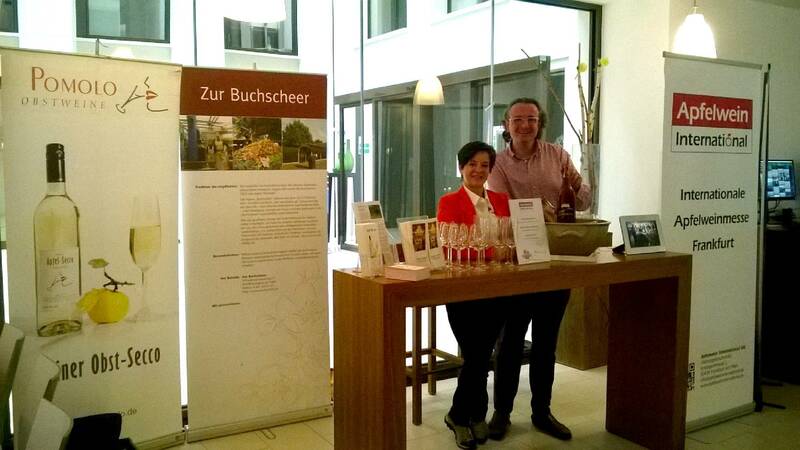 Guided tour on the subject of Frankfurt apple wine including tasting session for 15 or more persons . 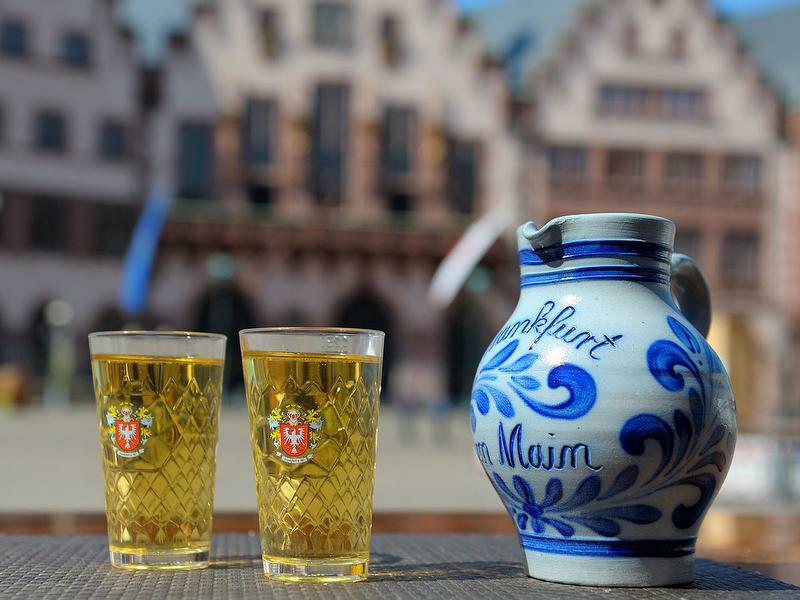 Frankfurt apple wine is known to be the locals’ beverage of choice. 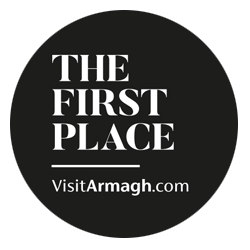 During this tour, you’ll learn more about its history, tradition and method of production. The tour concludes with a sampling of apple wine, accompanied by typical Frankfurt specialities, enjoyed at a traditional apple wine pub in Old Sachsenhausen. There are lots of ways of exploring and discovering Frankfurt – but travelling on Ebbelwei-Express is definitely one of the most charming. 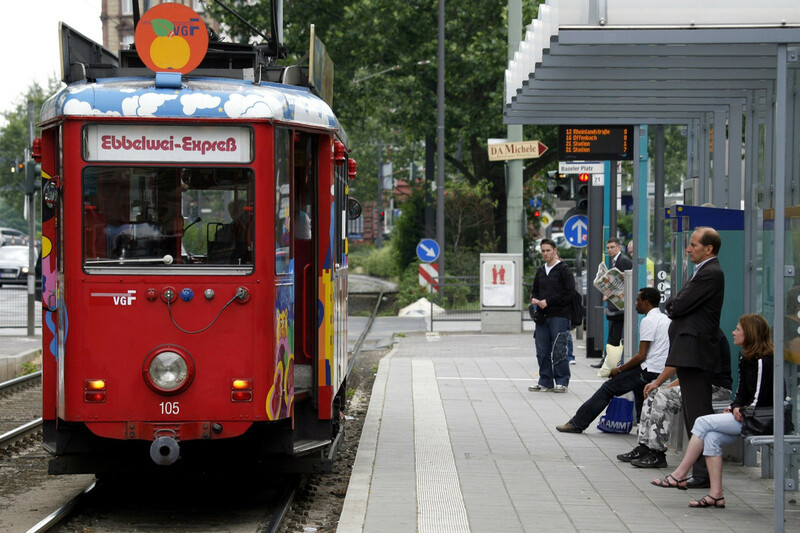 As well as providing a first-class view of the sights of Frankfurt, this tram also lets you explore some Frankfurt specialities in good company. Don’t forget to take part in the Hessian dialect for beginners course before you set off to make absolutely sure you understand what people are saying on the tram or in an Ebbelwei pub.